Coastal ecosystems are among some of the most populated ecosystems on earth. Human activities degrade and convert coastal ecosystems through infrastructure development, resource extraction, and tourism, among other anthropogenic activities. There is an urgency to gain a comprehensive understanding of how human activities/stressors impact coastal ecosystems and their affiliated ecosystem services. It is essential to understand the risks posed to ecosystem services- the benefits people obtain from ecosystems- by human coastal activities, in order to achieve a balanced and effective management administration. A new article led by Nereus Program Senior Fellow Gerald Singh in the Journal of Environmental Management addresses the need for tools that identify how human drivers impact coastal ecosystems in order to prioritize management actions when data is unavailable. Where cumulative impacts are defined as the combined total effect of multiple effects that limit the ability of people to enjoy ecosystem services, the authors of this paper found that misunderstanding and/or misinterpreting the severity and mechanistic pathway of cumulative impacts can lead to misguided management efforts. This research highlights the importance of linking processes of impact to estimates of impacts. It is proposed that structured expert elicitation is the best way to gain understanding on cumulative effects, as up-to-date and locally relevant data on cumulative impacts is commonly scarce. Expert elicitation has strengths (such as the unique ability of experts to assess tradeoffs and uncertainties) and drawbacks (such as the introduction of likely uncertainties through diverse understandings), but where data is scarce, it serves as the best option for systematic. (1) How severe are cumulative impacts on ecosystem services? (2) Are threats to ecosystem services evenly distributed across activities and stressors, or do few dominate? (3) Do prominent activities mainly operate through direct stressors, or do they often exacerbate other impacts? The authors found that despite high uncertainty in the threat posed by individual stressors and impacts, total cumulative impact is consistently severe across all four ecosystem services studied. A subset of drivers and stressors was found to pose important threats across the ecosystem services explored, including climate change, commercial fishing, sedimentation and pollution. Finally, it was concluded that climate change and commercial fishing contribute to prominent indirect impacts across ecosystem services by exacerbating regional impacts, namely sedimentation and pollution. These results indicate the prevalence and magnitude of these indirect, networked impacts, which brings awareness to the need for approaches like this to understand mechanisms of impact in order to develop effective management strategies. 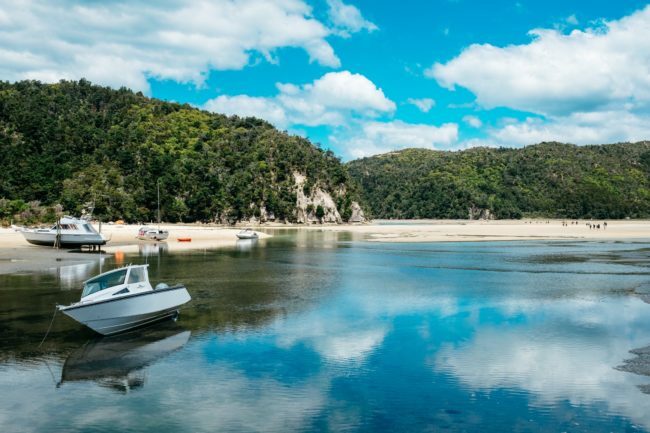 Researchers have used expert elicitation to examine how human activity has impacted ecosystem services through an analysis of cumulative impacts in Tasman and Golden Bays, New Zealand. Image: “Abel Tasman National Park, South Island, New Zealand” by Pablo Heimplatz. Coastal environments are some of the most populated on Earth, with greater pressures projected in the future. 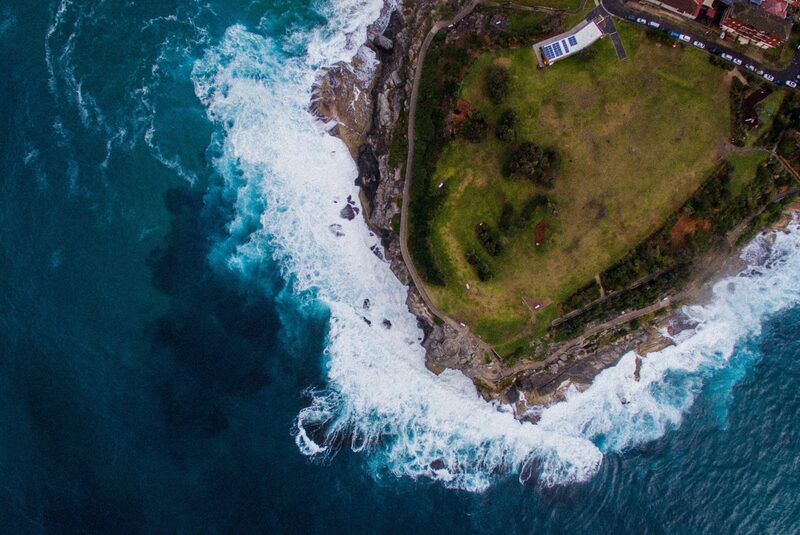 Managing coastal systems requires the consideration of multiple uses, which both benefit from and threaten multiple ecosystem services. Thus understanding the cumulative impacts of human activities on coastal ecosystem services would seem fundamental to management, yet there is no widely accepted approach for assessing these. This study trials an approach for understanding the cumulative impacts of anthropogenic change, focusing on Tasman and Golden Bays, New Zealand. Using an expert elicitation procedure, we collected information on three aspects of cumulative impacts: the importance and magnitude of impacts by various activities and stressors on ecosystem services, and the causal processes of impact on ecosystem services. We assessed impacts to four ecosystem service benefits — fisheries, shellfish aquaculture, marine recreation and existence value of biodiversity—addressing three main research questions: (1) how severe are cumulative impacts on ecosystem services (correspondingly, what potential is there for restoration)? ; (2) are threats evenly distributed across activities and stressors, or do a few threats dominate? ; (3) do prominent activities mainly operate through direct stressors, or do they often exacerbate other impacts? We found (1) that despite high uncertainty in the threat posed by individual stressors and impacts, total cumulative impact is consistently severe for all four ecosystem services. (2) A subset of drivers and stressors pose important threats across the ecosystem services explored, including climate change, commercial fishing, sedimentation and pollution. (3) Climate change and commercial fishing contribute to prominent indirect impacts across ecosystem services by exacerbating regional impacts, namely sedimentation and pollution. The prevalence and magnitude of these indirect, networked impacts highlights the need for approaches like this to understand mechanisms of impact, in order to develop strategies to manage them.